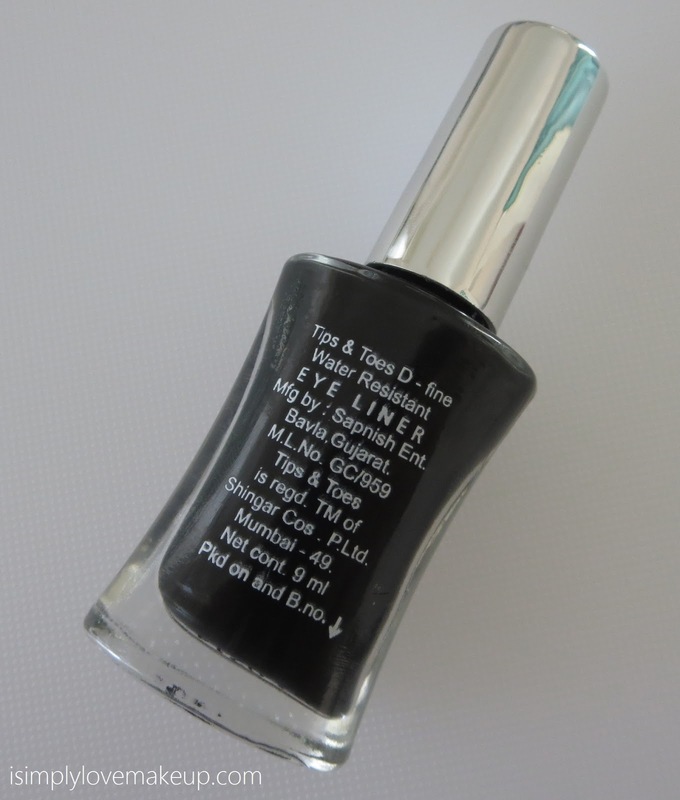 Welcome to the first edition of Budget Wednesdays, where every Wednesday we feature some fabulous and some not so fabulous budget drugstore products... And today ladies and gentlemen we shall be reviewing Tips & Toes D-Fine Water Resistant Liquid Eye Liner in Black. Yes Tips & Toes still exists and apparently they are gradually upping their game as well. It costs INR 75/- for a whole lot of product! 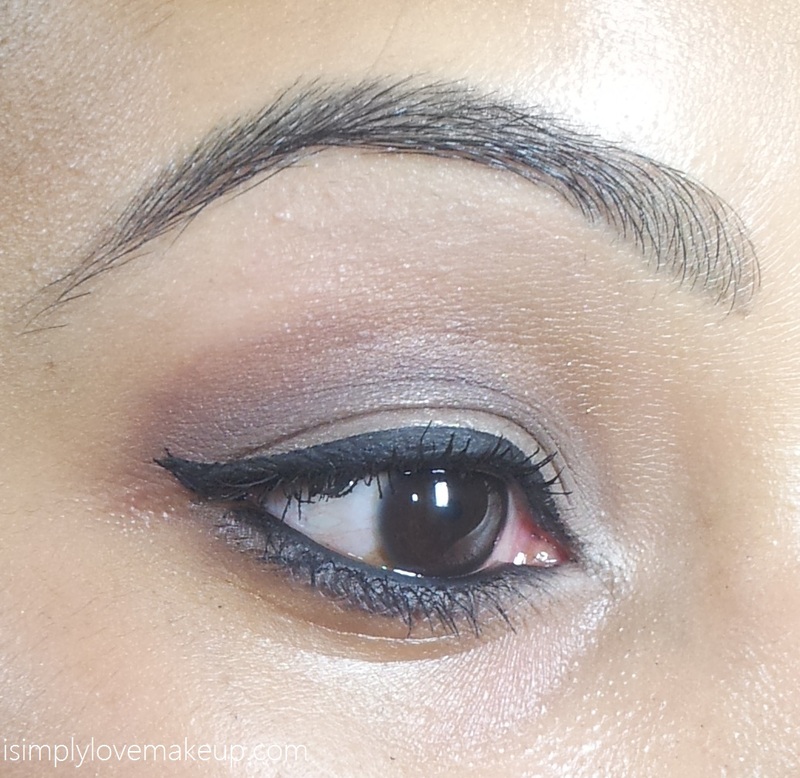 Pigmentation wise this Tips & Toes liner is second to none. 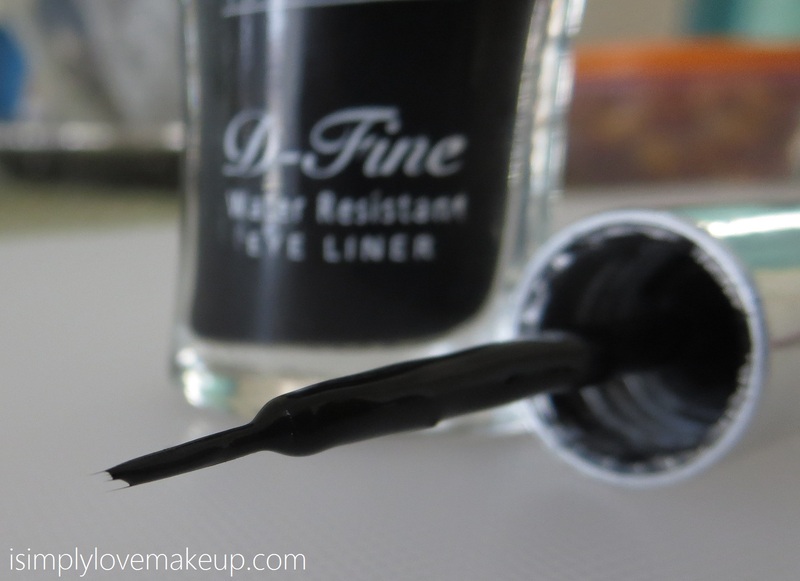 It is the jettest black liquid liner I have ever seen and I am honestly floored by how beautifully opaque it gets in a single stroke. It does not flake, does not smudge and is beautifully waterproof. Its perfect for long days out in the sun, in the rain, any season for that matter. Its just amazing. The thin brush that it comes with may not be one of the sophisticated that you've seen, but it sure delivers precision like nobody's business. 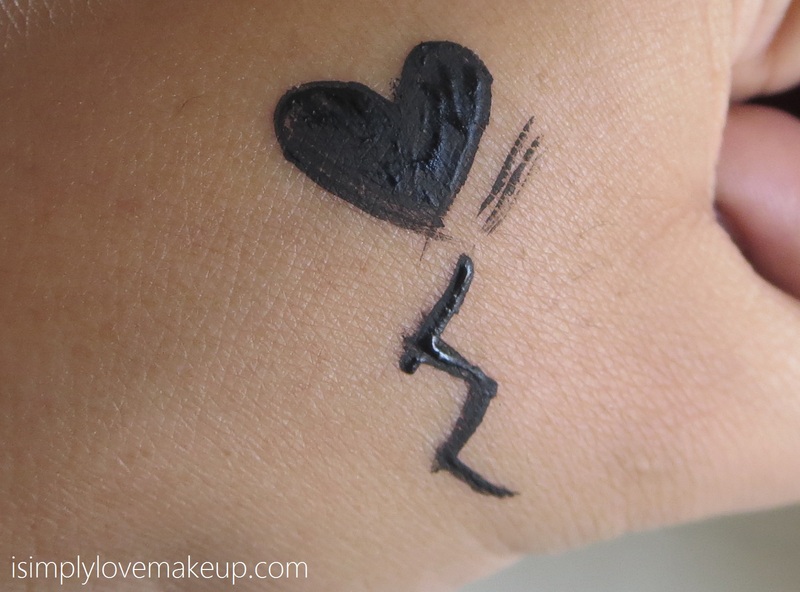 Its flexible enough to let you use it the way you want but its stiff just enough so that you don't end up messing up :) Its amazing for creating that glamorously dramatic winged liner. 7. Can be easily removed with a makeup remover. No tugging required. 2. It takes a very log to dry up on the lids. I could put up with the runny texture if it's long lasting and jet black. I hope I can find this online.